About twelve months ago, for the very first time the BBC started to block access from people who were using various methods to watch BBC iPlayer from abroad. First they blocked access from simple proxies which is a relatively straight forward process. This was pretty much expected, in fact it was more surprising that they’d not done this earlier. Every other media firm blocked proxy server access years ago yet they worked without problems since the initial release of BBC iPlayer at the end of 2007. Proxies are now officially dead for all region locking purposes, in fact the likes of Netflix, Hulu and all other major media companies blocked them years ago. Fortunately the BBC iPlayer VPN workaround is still working ok and the vast majority of people now use VPN (Virtual Private Network) connections to access these sites and indeed to watch the BBC online too. However the next step was much more surprising when the BBC started blocking VPN connections too. First to clarify, when you hear BBC blocking VPN services it sounds like they’ve developed some method to detect all VPN services. This simply isn’t the case, they targeted many of the more obvious companies. When you see nordvpn iplayer not working, that’s because they made themselves a target openly advertising the functionality. The Chinese Government have spend huge amounts of resources trying to automatically detect and block VPNs without complete success so the BBC obviously haven’t either. They have however utilized different methods. They did this in two distinct ways, firstly via a technical solution and secondly using the BBC legal department. The technical method really focused on identifying potential VPN access using a simple fingerprinting method and blocking manually. This was combined with the legal department targeting VPN and Smart DNS companies which openly advertised the ability to watch the BBC or any of it’s other channels. The result was pretty brutal, hundreds of VPN services stopped working in a matter of weeks. Others who had infringed on copyright actually disappeared as their hosting providers received threatening legals letters. It’s difficult to say how many VPN services have survived this purge because it is ongoing to some extent. However, fortunately some of the more technically advanced services continue to operate and still allow access to the BBC iPlayer. Here’s a brief rundown of the characteristics you need to look for in services that both work now and can be expected to work into the future. Market themselves as a VPN Service (not a TV Viewing one) – pretty much all the services which openly marketed themselves as unblockers or services for watching TV and media sites have disappeared or don’t work anymore with the BBC. Large Infrastructure – basically having lots of servers, the smaller VPN providers have only a few UK servers. This means that they have thousands of users on the same IP addresses which are easy to detect and get blocked quickly. Secure Configurations – many VPN services are unfortunately run by people with little technical knowledge and as such are easily detected. 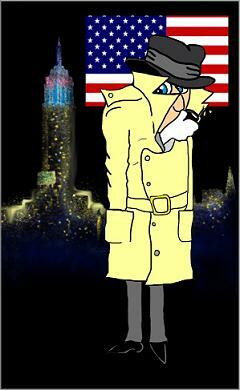 A well configured VPN however is almost impossible to detect directly. Make sure you try out short trials or demos before subscribing, you should be able to watch the BBC online from anywhere within minutes. Residential IP address Support – although currently not essential to access the BBC online, this is something that is likely to happen. Netflix this year restricted access to IP addresses classified as ‘residential’ , many expect the BBC and other media sites to follow this example. There’s no doubt that the last 12 months have been very tough for VPN services particularly those who focus on the region unlocking market. Many thousands of people suddenly found that their favorite BBC iPlayer VPN blocked overnight, often after many years of use. However the better and more professional ones still work perfectly. Some people think that the BBC are detecting and blocking all VPN access automatically however this is not the case. The reality is that a well configured VPN connection cannot be reliably detected, even the Chinese haven’t perfected a method yet. It may look like BBC iPlayer detecting VPN services but this is not strictly the case. The BBC though have managed to block a huge proportion of these services simply by identifying them manually from their websites and detecting IP addresses with loads of users connecting concurrently. So make sure the company you choose has plenty of fast UK based servers and it doesn’t advertise itself directly as a way to watch the BBC or ITV abroad. 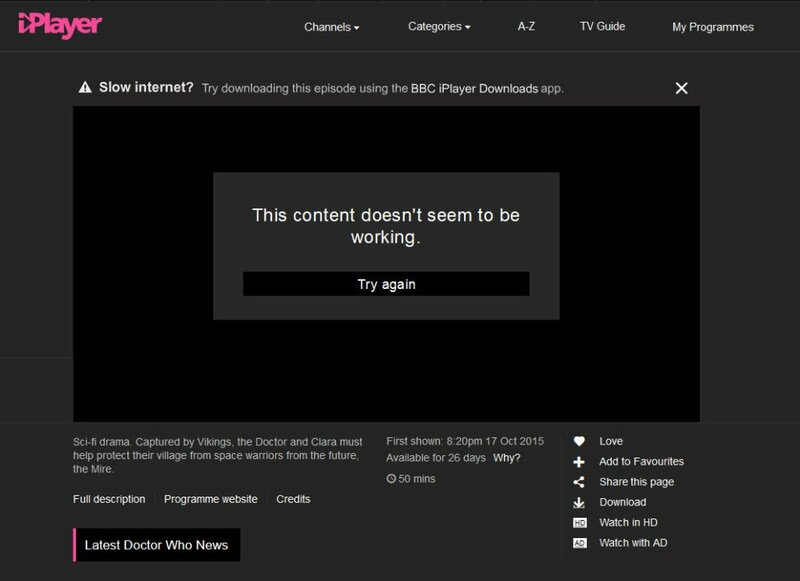 You’ll see a lot of talk online about BBC iPlayer VPN not working anymore but it’s not entirely true. There are some good ones still out there, and arguably it is easier now to choose a reliable, well configured service – just make sure you test them out before subscribing for a long period. The program has worked perfectly with all the major UK TV stations including the BBC iPlayer for many years now. They are constantly expanding their networks with new UK servers and also have a special network of servers allocated with residential IP addresses. These are only used currently for users who need to access the UK and US versions of their Netflix subscription but could be expanded to cover other media sites if required. So in summary, although the BBC have blocked many VPN services, there are still some working. Our recommendation is Identity Cloaker and you can try out the IDC here and see how well it works. Which VPN for UK TV ?